It can be a challenge to eat healthy foods at work. Many convenient foods are high in sugar, salt, or fat, and it can be hard to plan healthy meals and snacks around busy schedules and meetings. If you don't have access to a refrigerator at work, there are plenty of healthy snacks to get you through the work day. Skip refined or processed snacks and choose whole foods that don't need to be refrigerated. Remember you can always bring a cooler to keep fresh foods chilled and safe outside the fridge. To keep you satisfied and help maintain your focus, pair a carbohydrate with a protein, like dried fruit with nuts, or yogurt with fruit. like cookies or candy, and fried snacks like potato chips, corn chips or puffed cheese snacks. Those foods are typically high in sugar and fat, and may not keep you full through the day. If you must purchase something from the vending machine, trail mix, pretzels, or peanut butter crackers are usually a healthier option. 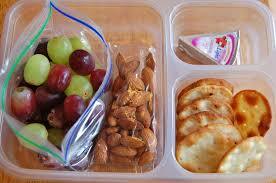 Packing your lunch for work is typically more economical and usually healthier than purchasing a pre-made meal. It takes a little bit of planning to start, but with practice, packing a healthy lunch becomes quick and easy. Always try to include at least one serving of non-starchy vegetables, a lean protein, and a healthy carbohydrate. Keep in mind that your lunch might need to keep you full for several hours, so choose foods that are high in fiber to help you stave off hunger. Check out the lists below for some suggestions. made from quinoa, farro, barley, or bulgar travel well to work; Check out some recipes from the Whole Grains Council here. 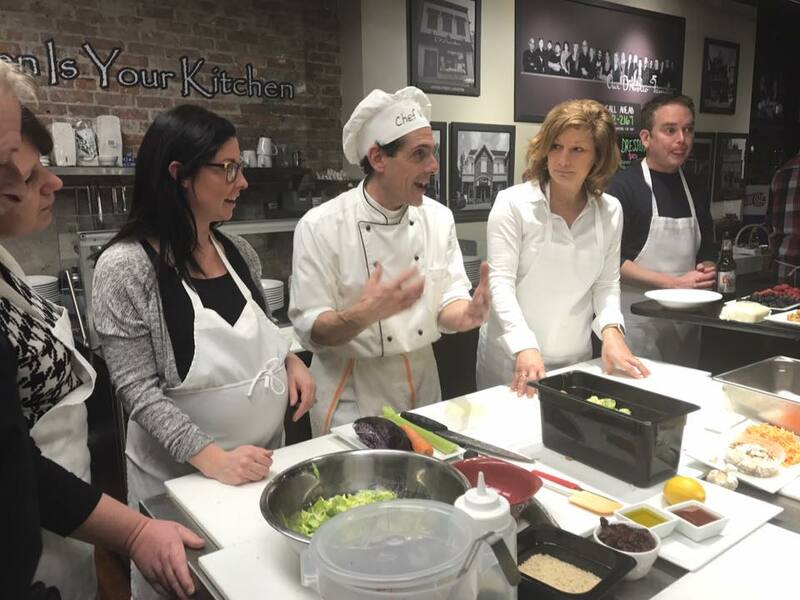 Our private corporate cooking classes are the perfect opportunity to promote health and wellness in the workplace as well as build team relationships! 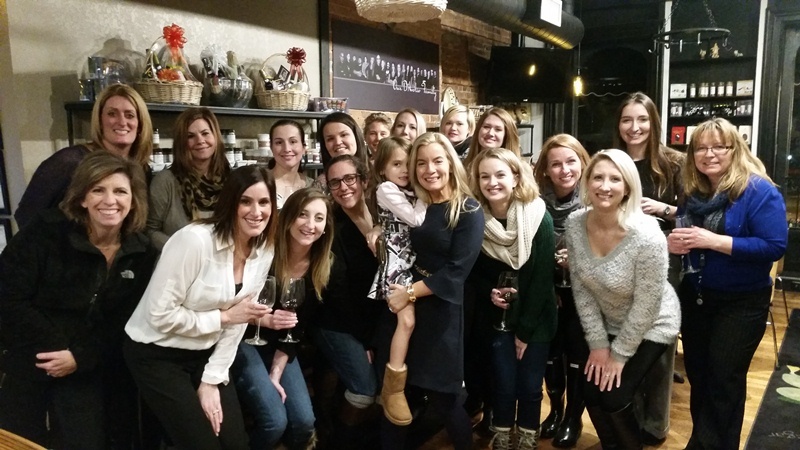 We offer private packages for a customized, hands-on experience for any staff retreat, team meeting, workplace bonding event, etc. 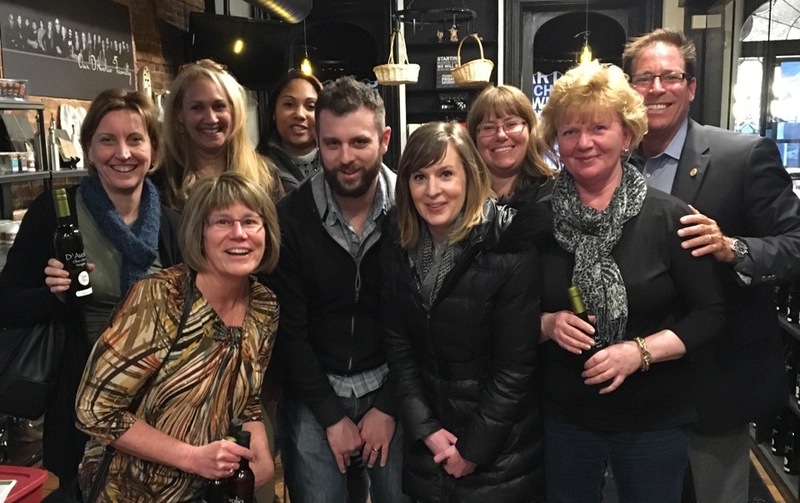 Learn more about how your organization can book their private cooking class here like Dent Neurological Institute & UB MD Orthopaedics has done below!